Photography is addictive, and even more so when you get into high zoom and macro photography. And once you develop a taste for it, you really want to stretch the limits and get as high a magnification as possible with your camera’s lens. There are a couple of ‘shortcuts’ to enhance your lens’ magnification. This article talks about two such methods which help you get that much more out of your lenses and macro images; the use of extension tubes and close-up filters or close up lenses. We’ll talk about the advantages and disadvantages of each and help you choose which accessory would be best for you and your photography needs. What are Extension Tubes and Close-up Lenses? 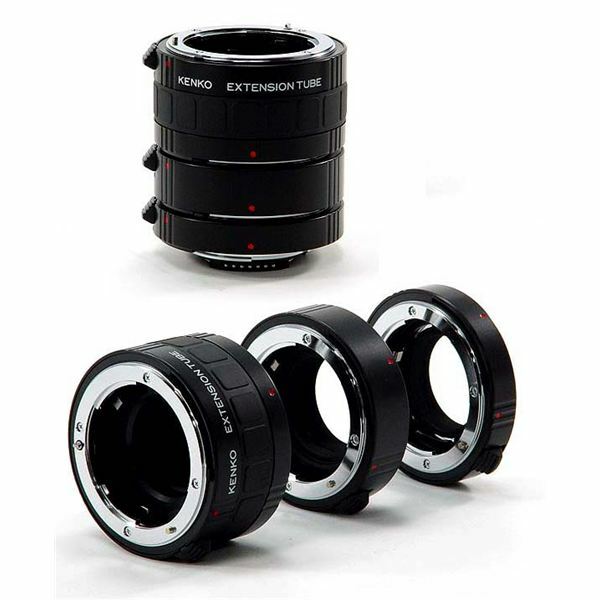 As the name suggests, extension tubes are a set of tubes that attach between the lens and the camera’s sensor. It works by moving the back element of the lens farther away from the sensor, hence reducing the minimum focal distance, allowing one to focus on a closer subject. It magnifies by increasing the size of the image circle that the lens projects onto the sensor. There is no glass involved in the extension tubes, so you retain the image quality of your camera lens. 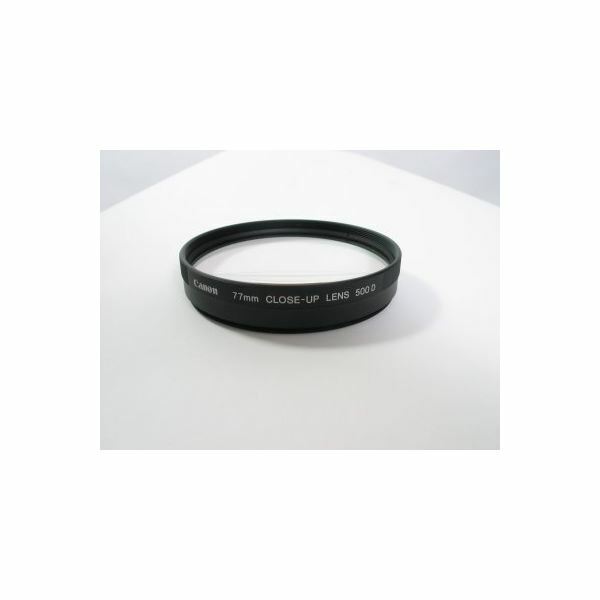 A close-up lens is a lens which screws in front of the camera lens. Think of it as akin to a magnifying glass. Chances are that the quality of glass of the close-up lens may not be as high as your camera lens, and so some image deterioration is to be expected in this case. 1. The point I mentioned about image quality in the earlier paragraph has a twist in its tail. It actually depends on whether you’re using a macro lens or a non-macro one. Now, macro lenses are designed to be sharpest at minimum focus and non-macro lenses are sharpest when focused at infinity. Using extension tubes with a non-macro lens and focusing close is going to affect image quality negatively, as any image softness at minimum focus is going to get amplified. But used with a macro lens, the extension tubes work perfectly. Whereas the close-up lens will not affect image sharpness at any focusing distance and works well with any type of lens, provided the optical quality of the close-up lens matches that of the camera lens. 2. The close-up lens magnifies the image before it enters the main lens. This brightens the image and there is no loss of light. Extension tubes cause a loss of a stop or so of light, as the effective aperture gets smaller when the distance between the lens rear and sensor increases. Considering quite a lot of macro photography happens in low light conditions, the loss of a stop of light may not be that trivial. 3. Extension tubes with electrical contacts help retain auto-metering and aperture control of the camera. So, if you decide on using extension tubes, stay away from the cheaper ones without electrical contacts. 4. The longer the focal length of your camera lens, the longer the extension tubes you’ll need. So you may have to keep adding tubes depending on the focal length you choose to shoot at. Also, while using with a zoom lens, one may lose focus while zooming, which may be annoying. Close-up lenses are far easier to snap-on and it’s a one-time process irrespective of focal length of the lens. 5. Extension tubes, though, are independent of type of lens and can be paired with pretty much every lens. But a close-up lens attaches through threads and will have to be matched to lenses with the same thread size. An option is to use step-up or step-down rings to get to the correct thread size. 6. Good quality close-up lenses are not cheap. It’s far more economical to buy a set of good extension tubes. So basically, it’s a choice between ease of use (close-up lens) versus range of use (extension tubes). Image quality is affected differently by either of them – extension tubes cause loss of light, and close-up lenses may deteriorate image quality. So I guess that about squares things up between the two. The final clincher may well be the price.